What can be more endearing than breakfast in bed? 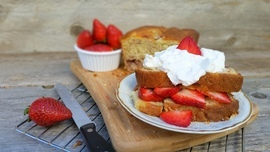 Super moist Strawberry Cheesecake Bread has just the right balance of tangy cream cheese flavor and sweet strawberries to make your mouth smile! 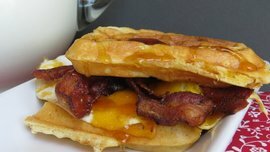 These waffle sandwiches are a great way to spoil someone you love, whether that is a spouse, a child, or yourself! 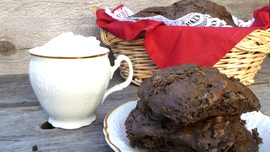 Double Chocolate Brownie Biscuits are a delectable addition to your Valentine’s Day breakfast or brunch. 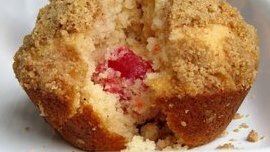 These cherry blossom muffins have a scrumptious streusel topping. When bitten into, there is a cherry just inside ready to blossom in your mouth! 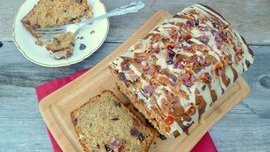 This orange pineapple bread is rich and full of tropical flavor. 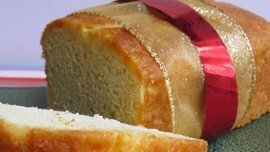 The glaze is absorbed and is so moist, it could almost be confused for a pound cake! Click here to receive our FREE recipes in your inbox! 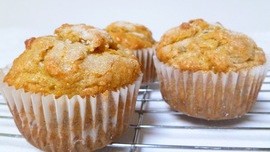 Baking these banana persimmon muffins is a tasty way to use up over-ripe fruit while upping your intake of fiber, Vitamins C and A, beta-carotene and iron. 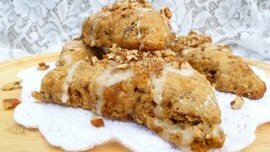 Sweet Potato Pecan Scones takes a classic recipe and marries it with traditional Thanksgiving flavors. 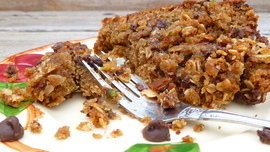 This quick zucchini bread has a dash of chocolate chips and a streusel topping just for fun. 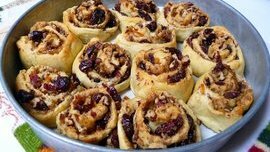 Cranberry Orange Crescent Bites are made quick and easy with refrigerated dough and dried cranberries. Tell us, what do YOU think is the best way to spend Valentine’s Day?